I put down a by-line of “tech, talk, and bacon” and realized I haven’t had any bacon posts. So here one is. 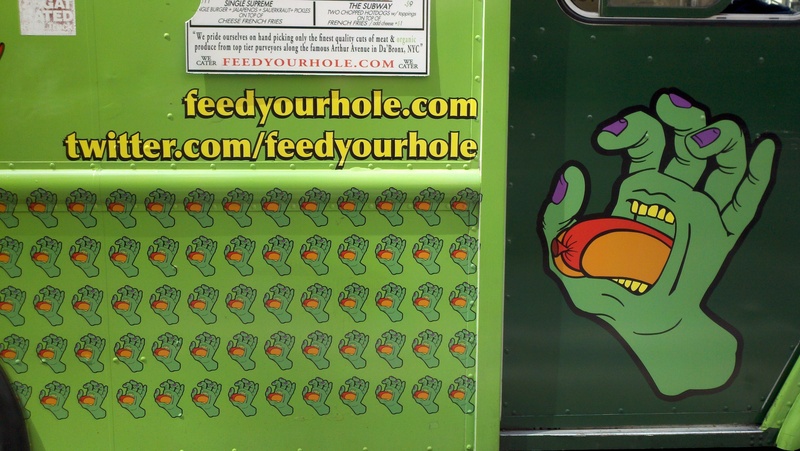 A couple weeks ago I was in New York, and I wanted to try out the Feed Your Hole food truck. They had something called a 420 hotdog there, so of course I had to get one. 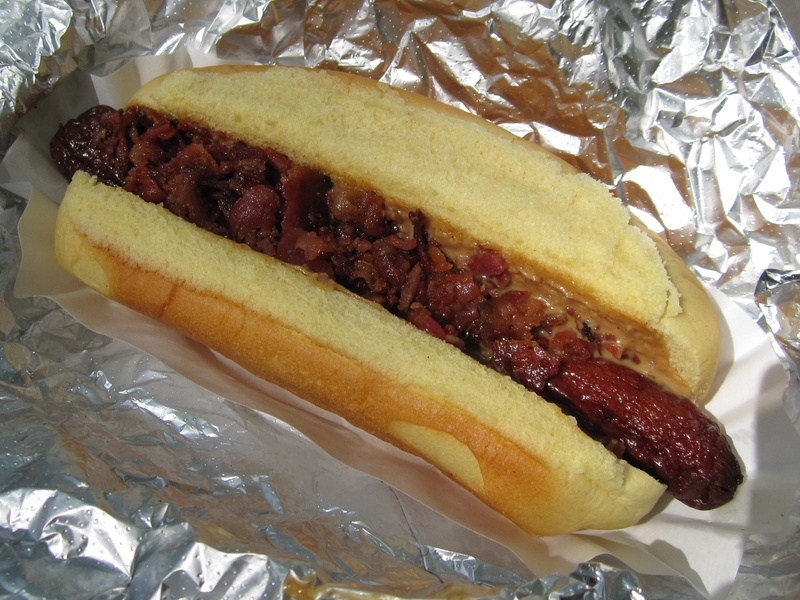 A peanut butter and bacon hotdog. My only regret is that I only got one. This entry was posted in bacon, journal by Steven Byrnes. Bookmark the permalink.